Simplify mileage logging for expense reimbursement and tax-deduction. Psngr tracks your trips automatically, calculates mileage and expenses, and emails you periodic reports. You can track any number of vehicles and up to 40 free trips per month. You can log past trips manually by setting your departure/arrival locations and selecting the time of departure. Create multiple log books with Vehicles. Each trip (in fact, each trip segment) uses a single vehicle, and your mileage is aggregated per vehicle. This lets you easily separate mileage made with your private car vs. your company car, or trips made under different fiscal entities, for different clients, projects, etc. Psngr bundles standard, tax-deductible mileage rates in 15+ countries, including US, UK, Canada, Australia, New-Zealand, France, Germany, Switzerland, Belgium, Netherlands, Denmark, Austria, South-Africa, and Ireland. You can add custom mileage rates that suit your needs. 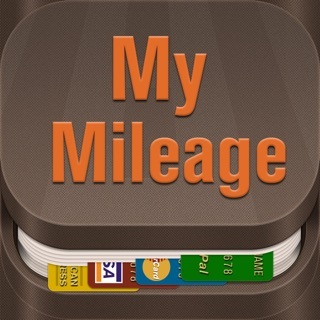 Each mileage rate uses a unique tag (e.g. #business) and is assigned to one or more vehicles. To expense a trip using a #business mileage rate, tag the trip as #business. To expense a trip using a #commute mileage rate, tag the trip as #commute, etc. A monthly report of your trips is sent to you via email. You can customize reports frequency or add filtering criteria. You can create additional reports on https://psngr.co. When tracking trips by public transport, pre-plan your first trip in order to teach Psngr which transit lines you use to get from A to B. Start a new trip by tapping the "+" button on the home screen, select your destination and choose Public Transport to plan your route. Check-in to start your trip. When repeating the same trip from A to B, Psngr will match the transit lines used. • Unlimited tracking: $4.99/month (billed annually) or $5.99/month (billed monthly). • Subscriptions are auto-renewable and are available for monthly or yearly periods. • Subscription purchased via In-App purchase will be charged to your iTunes Account at confirmation of purchase. Psngr app uses GPS to track your location in the background. We have made extensive tests with all iOS devices to ensure minimal battery drain while Psngr is running. However, keep in mind that continued use of GPS can dramatically decrease battery life. I upgraded hoping this app would be worth having. After a month it’s clear this app does everything I need and will more than pay for itself. 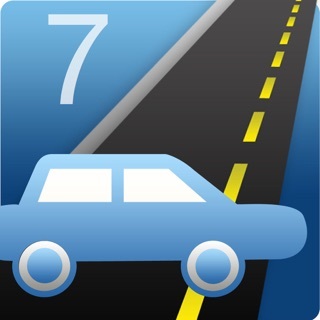 Great app to track mileage. It has made tracking for my business a piece of cake. Requires iOS 11.0 or later. Compatible with iPhone, iPad Air Wi-Fi + Cellular, iPad mini 2 Wi-Fi + Cellular, iPad Air 2 Wi-Fi + Cellular, iPad mini 3 Wi-Fi + Cellular, iPad mini 4 Wi-Fi + Cellular, 12.9-inch iPad Pro Wi-Fi + Cellular, 9.7-inch iPad Pro Wi-Fi + Cellular, iPad Wi-Fi + Cellular (5th generation), 12.9-inch iPad Pro Wi‑Fi + Cellular (2nd generation), 10.5-inch iPad Pro Wi‑Fi + Cellular, iPad Wi-Fi + Cellular (6th generation), iPad Pro (11-inch) Wi-Fi + Cellular, iPad Pro (12.9-inch) (3rd generation) Wi-Fi + Cellular, iPad mini (5th generation) Wi-Fi + Cellular, and iPad Air (3rd generation) Wi-Fi + Cellular.